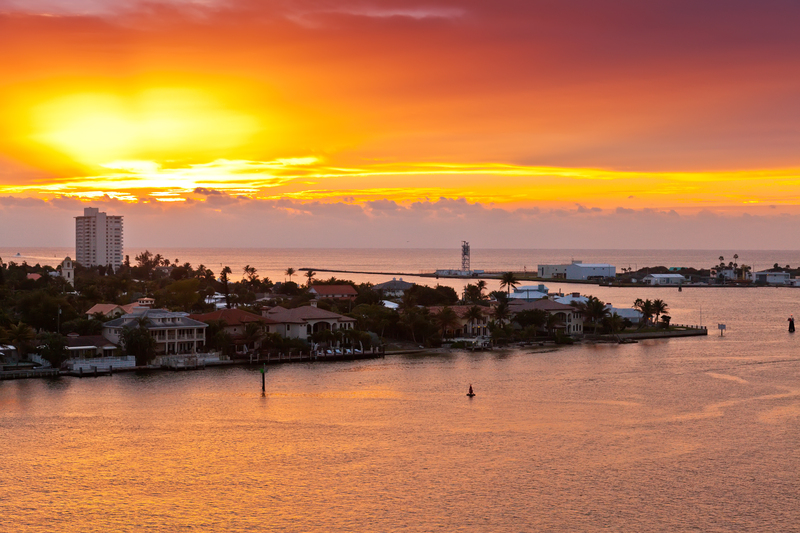 When you are in town for a cruise, make our hotel near Port Everglades your home away from home. 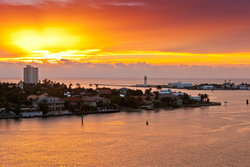 Stay with us in a central location and easily explore all that Dania Beach and Fort Lauderdale have to offer. 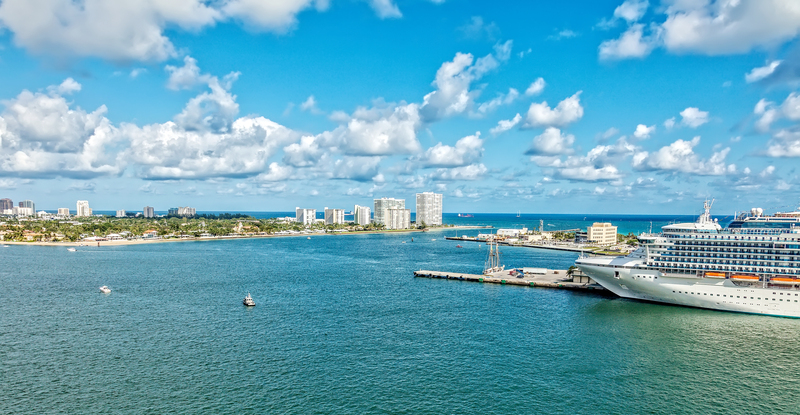 Port Everglades, just 21-minutes away from our hotel by car, is one of the largest and most diverse seaports in the United States and is among the top three cruise ports on earth. 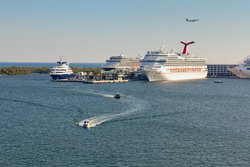 While the port is used for cargo ships and international trade, exotic cruise vacations play a large role in making Port Everglades the economic powerhouse that it is. Stay at our hotel near Port Everglades in Fort Lauderdale, where you can easily explore the area and enjoy the convenience of a hotel shuttle taking you directly to your cruise when it’s time to go! More than just a destination for ships, Port Everglades has a strong community focus and gives back to the local community wherever possible. In addition to supporting the community, Port Everglades promotes environmental awareness. Their Environmental Education Facility is the cornerstone of these green initiatives. The facility offers meeting spaces for environmental groups, a colossal boardwalk to observe marine wildlife from, and even hosts classes, lectures, and seminars throughout the year for schools and patrons to participate in. 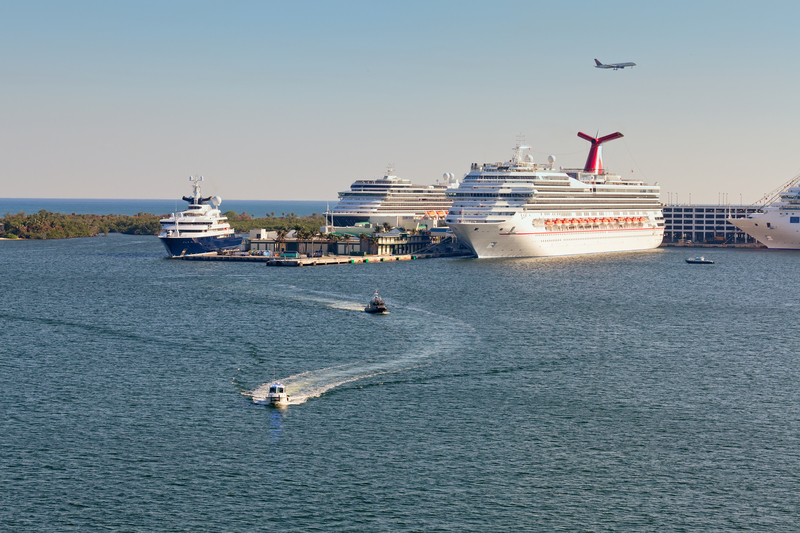 Choose to make our hotel near Port Everglades your home base as you explore one of the busiest seaports in the world! In addition to their environmental and community focus, Port Everglades hosts a number of annual special events and outreach opportunities that you will love to be a part of! Of these, Fleet Week is one of the most popular! Fleet Week welcomes sailors from a wide variety of naval vessels to the shores of Fort Lauderdale in a nautical celebration. Our hotel near Port Everglades awaits. Book today!